Brazil hopes to eventually become a major producer of palm oil, thanks to the expansion of this new exotic monoculture crop in the eastern Amazon jungle, where eucalyptus plantations are also mushrooming on broad swaths of already deforested land. The northern Brazilian state of Pará is becoming the land of the African oil palm (Elaeis guineensis), after earning a reputation as the Amazon jungle state to lose the largest amount of native forest to agriculture, livestock, logging and the production of charcoal used in local iron foundries. The biofuels subsidiary of Brazil’s state-owned oil giant Petrobras has set a goal of producing 420,000 tonnes a year of palm oil, double the country’s current output, with two projects in Pará. Seventy percent of the company’s production will go to Portugal, where it will be turned into biodiesel to supply Europe, in a partnership with the Portuguese state-run oil company Galp Energía. The subsidiary, Petrobras Biocombustível, is planting oil palm on 6,000 hectares of land, and growing seedlings to cover a total of 74,000 hectares. “Our focus is the growing biodiesel market,” despite the good prices paid by the food and cosmetics industries, Janio Rosa, Petrobras Biocombustível’s director of agricultural supplies, told IPS. The Brazilian mining company Vale, the world’s largest producer and exporter of iron ore, launched a project in 2009 to produce 160,000 tonnes a year of biodiesel as of 2014, to reduce transportation costs in its railways and ports by switching from conventional diesel. To that end the company, which was privatised in 1997, is planting 60,000 hectares of oil palm in six different areas of the state of Pará, where its main mineral reserves are located, in the Serra do Carajás. But it will take Brazil many years to make significant headway into foreign markets. This year it produced a mere 0.5 percent of the world total of 46 million tonnes. And it takes oil palms three years to begin to produce fruit, and eight years to reach full maturity. In May, the government launched a sustainable oil palm production programme, which offers incentives like soft loans, and technical support. 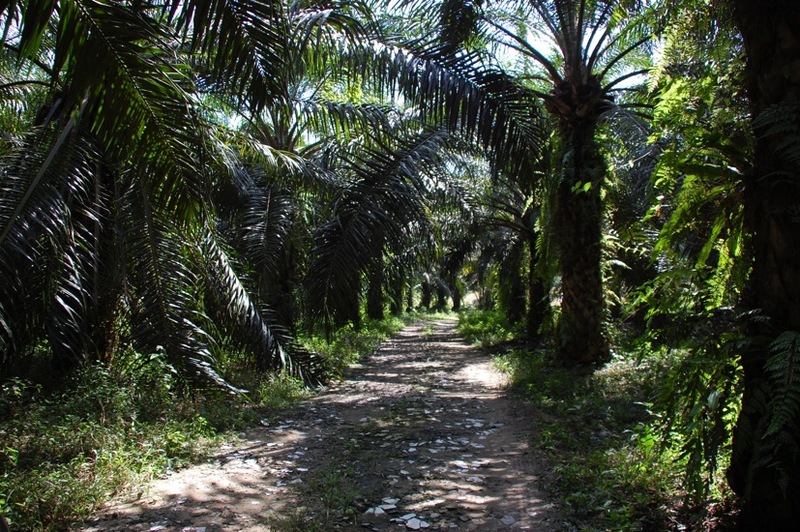 An agro ecological survey identified 31.8 million hectares of abandoned and degraded agricultural areas suitable for oil palm production in the country, nearly equivalent to the size of Germany. But it only authorised plantations on 4.3 million hectares, most of which are in Pará. The high levels of productivity of oil palm in land near the equator opens up the possibility of diversifying the raw materials used to produce biodiesel in Brazil, where 85 percent of the biofuel is now produced with soy, and of making this country a major exporter of the fuel. Brazil now imports half of the 450,000 tonnes a year of biodiesel that it consumes. With a projected annual yield of six tonnes per hectare of oil palm, which has an average productive life span of 25-28 years and is harvested year-round, combined with a growing market for biofuels, the profit margin is ensured, Rosa said. Because of this, investment in biodiesel projects makes sense, even though palm oil fetches higher prices today in the food and chemical industries. But Agropalma, the only large palm oil producer in Brazil today, “temporarily” stopped producing biodiesel in August, because its prices were not competitive in the public tenders for supply contracts, even though it was making use of the waste products from the oil refining process. In Colombia, Latin America’s leading producer of biodiesel, it took subsidies to get the industry going. When the government purchases biodiesel, it pays the market price for vegetable oil plus the costs of conversion, explained Jens Mesa, executive president of that country’s National Federation of Oil Palm Growers (Fedepalma). With its output of 800,000 tonnes a year, Colombia also leads the production of palm oil in Latin America, thanks to the persistence of the private sector, organised in Fedepalma since 1962, Mesa told IPS. The government’s support was “intermittent” until the adoption of a 2004 law stipulating a minimum blend requirement in diesel fuel of 10 percent biodiesel by 2010, he said. In Brazil, diesel fuel vehicles will have to run on a five percent biodiesel blend as of January. That target had originally been set for 2013. Colombia has “three million hectares of land highly suitable for the cultivation” of oil palm, as well as the 365,000 hectares already planted, Mesa said. Oil palm cultivation is “the only rural activity for which an environmental permit is required” in Colombia, and it benefits 6,000 families of small farmers, he said, refuting criticism by environmentalists. Central and South America have emerged as a new frontier for African oil palm, in response to growing demand. But Latin America is seeking to avoid the deforestation and social impacts seen in Indonesia and Malaysia, which together account for 85 percent of global production of palm oil. The Round Table on Sustainable Palm Oil (RSPO) was formed in 2004 by a diverse group of stakeholders — oil palm producers, palm oil processors or traders, consumer goods manufacturers, retailers, banks and investors, and environmental and social NGOs — to promote sustainable agriculture, address the environmental impact of palm oil and certify products as environmentally and socially sustainable. To that end, the RSPO has established environmental, social and legal requirements to curb deforestation, allowing expansion of oil palm plantations only on land that has already been degraded. Petrobras Biocombustível also puts a priority on social inclusion, setting a goal of contracting 2,250 family farmers to produce half of the raw material in one project and 20 percent in its second project, which is focused on export. Adherence to the laws, reforestation with native fruit trees, education and awareness-raising, and environmental research will form part of the projects, Rosa said. “Diversity builds,” he said, stressing Petrobras Biocombustível’s commitment to cooperating with small and large farmers and to restoring forests where the land cleared has exceeded the legal limit. Under Brazilian law, 80 percent of the forest must be preserved on any property in the Amazon. Despite these safeguards, environmentalists and social activists are critical of the expansion of oil palm plantations. “We are opposed to any large-scale monoculture, even trees,” in defence of biodiversity and a more balanced climate, said João Pedro Stédile, one of the leaders of the Landless Workers’ Movement (MST) and the Via Campesino international peasant movement. The native rainforest in Pará is vital to the climate in South America, because of the circulation of humid North Atlantic easterly trade winds in the eastern Amazon, which provide a large part of the rain in the jungle, scientists point out. In addition, the evaporation from the Amazon jungle, diverted to the south by the Andes mountains, irrigates the most productive agricultural lands in Brazil, Argentina and Paraguay. Another risk involves plant health. Turning Pará into “a sea of palm trees” will make it very difficult to control pests, warned José Stanley de Oliveira, Agropalma’s phytosanitary manager, who with a team of assistants has so far been able to control the numerous enemies of the oil palm. There are two especially dangerous pests: the Eupalamides cyparissias borer, which bores into different parts of the tree, and the Rhynchophorus palmarum palm weevil, the main vector of the red ring syndrome in coconut and oil palm, which is “incurable,” Oliveira said. Biological pest control is the chosen method due to environmental concerns and because “there are only two insecticides” registered for oil palm plantations in Brazil, he added. Demand for vegetable oils will continue growing faster than the world population and economy, and 13 million additional hectares of oil palm will be needed to meet demand in 2050, according to projections by Conservation International researcher Timothy Killeen. Demand for soy, meanwhile, will require an additional 93 million hectares of the crop. The high oil yield of oil palm trees and the fact that palm oil does not contain unhealthy trans fats explain the dizzying growth of global palm oil production, which has increased more than nine-fold since 1980.